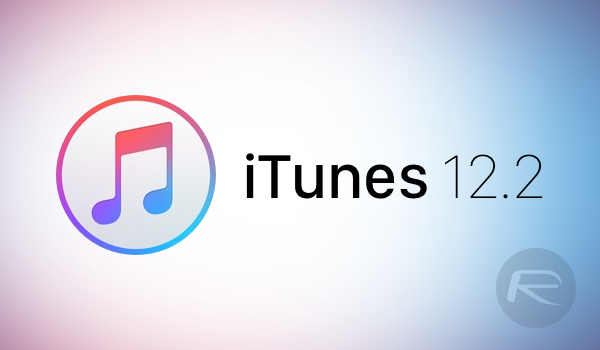 iTunes 12.2 download with Apple Music and Beats 1 radio support for Mac and Windows has been released. More details on the update, and information on where to download it from, can be found here. Apple finally flipped the switch today and made Apple Music and Beats 1 radio station available worldwide to a wide range of audience. With well over 30 million tracks under its massive iTunes library belt, Apple is going big with its first ever venture into the music streaming arena, taking the big guns such as Spotify head on. Making its commercial debut earlier today with the iOS 8.4 software update, Apple has now released a new version of iTunes – version 12.2 – which brings the company’s music streaming service to the desktop community. Before we jump into what the new version of iTunes brings, let’s go through the process of how you can download version 12.2 on your Mac or Windows PC. Launch the Software Update utility. Let the utility refresh and look for the iTunes 12.2 update. Once you see the iTunes 12.2 update, simply install and reboot your PC. On top of the main window, you should see an ‘Updates’ button – click on it. Wait for the Mac App Store to refresh and search for the iTunes 12.2 update. Click on the ‘Update’ button next to iTunes 12.2 and let it download and install. 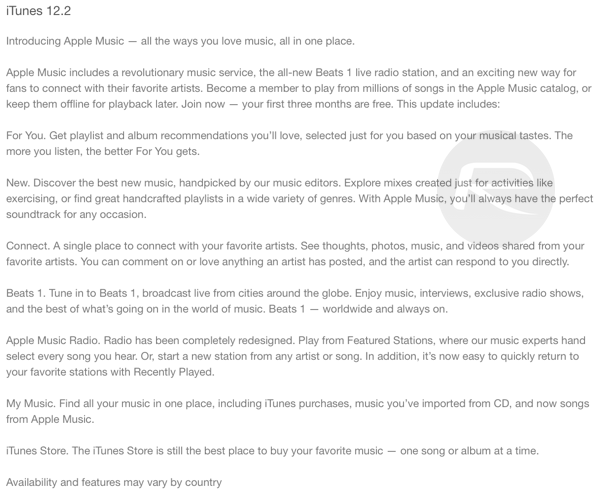 As you can guess already, Apple Music support and Beats 1 radio aren’t the biggest addition to the iTunes 12.2 update. Apple’s desktop music management software now has a brand new icon, bringing it in line with iOS 8.4’s Music app. Just like on iOS, you get a three-month trial on the desktop as well, giving you a fair amount of time to decide whether you want to carry on with the service or just pass up on it. If you’re an iPhone, iPad or iPod touch user currently sitting on iOS 8.3 or older, then we suggest that you make the upgrade to iOS 8.4 to take full advantage of Apple Music. Direct download links for the iOS 8.4 update can be found here: Download iOS 8.4 Final IPSW Links For iPhone And iPad. For more details on Apple Music and Beats 1 radio, check out: Apple Music And Beats 1 Radio Now Live In Over 100 Countries Worldwide. No Mac or Windows version yet.